Discussion in 'Console Games & Hardware' started by antijoke, Dec 12, 2017.
so there are rumours circulating that the 2018 game is going to be Bad Company 3. Hmm, it's been such a long, long time since I played BC2 on the 360 that I've forgotten why I loved that game so much but hated the normal Battlefields. Is it because you couldn't go prone in BC2 which meant spotting snipers was easier? If so, then I hope they continue with that and don't allow it in this new game, too. Hope it's better than BF1 which is a turd. The guy who leaked this is the same guy who leaked BF1 months before it was announced so he has a proven track record. I remember everyone laughing at him when he said WW1 and then it came true. If there's loot boxes I'm not touching it. Sadly the world is a different place since BC2. I hope they've learnt from the Battlefront II debacle but I doubt it. BC2 and Vietnam were so much fun. I also hope this is true. BF4 is one of the best shooters this gen. So if this game is as good as that then I'll be happy. I had no idea it was BC2 that I remember enjoying a lot until I saw a map of Arica Harbor, think it was the first BF I played, since then BF4 was good fun and BF1 to a degree but I don't like the WW1 setting as much as I always like the BF games with helicopters, and all things transport BF1 lacks due to the era. I hope the rumour of a BC3 and Vietnam/Cold war setting is true. Though I sometimes do enjoy the fast pace of CoD (not the wall running ****), I am very much a BF fan at heart - especially love the building destruction; BC2 being the best imo. WW2? Suddenly I'm not that interested. I like WW2 but for Battlefield I'd like the Korean war or maybe the recent Afghan war between the Russian's and Al qaeda/Taliban, probably have to change the names but it'd be interesting still. 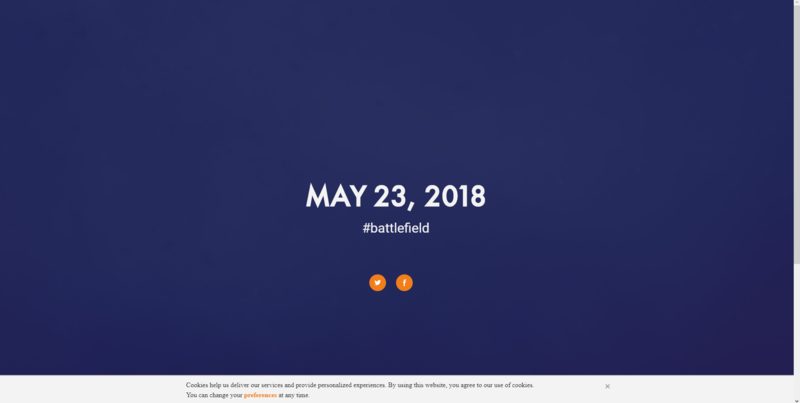 Reveal is coming May 23rd apparently. So are we still expecting WW2 game? Battlefield One was/is really good but I'd like something a little more modern this time around. Ohh but Bad Company 3 of any kind would be awesome. Yes it's more than likely to be WW2 according to the rumours. Hopefully its true to the original Battlefield 1942 and not a re-skin of Battlefield 1. I agree, best Battlefield ever. Especially the early days when you were commander and you could arty the carrier and drop a vehicle on a sniper, and everyone just hopped around like mad.